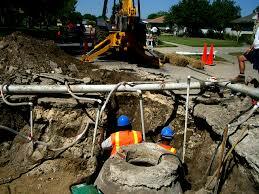 Need water line repair or replacement in NJ? Like sewer main lines and underground drain pipes, your water main line can break or wear out from corrosion. At that point, it will need main water line repair or main pipe water supply replaced by a NJ local plumbing contractor. Age, corrosion, and other problems can cause the water line to break or crack, and in some cases, water line repairs won’t be sufficient to permanently fix the problem. At A1 Sewer & Drain Services, we offer residential, commercial, and municipal water line replacement, sewer repair services and sewer line replacement throughout Bergen County, Morris County, Union County, Essex County, Hudson County, and Passaic County. Damaged Water Main Line: Repair or Replace? 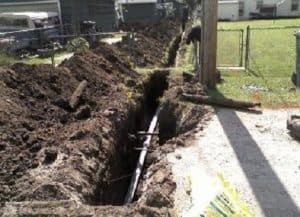 A damaged or leaking water main can sometimes be fixed with professional water line repair, but some problems will require water line replacement. Smaller residential and commercial water lines, sometimes called a “gooseneck,” extend onto properties from municipal water mains located near the street. The dividing line between the two is usually a “corporation stop,” a shutoff valve. The “gooseneck” pipe belongs to you and your property, while the public water mains belong to your city or township. Near the corporation stop is a water meter, which informs you and the city about how much water your household is using. Like sewer pipes and drain lines, your water line can break or rupture, leaking water and requiring professional repairs or water line replacement. If you have a broken water line and are looking for a professional water pipe repair company call us today for a free consultaion + estimate and save $$$$. If water line repair is feasible, NJ plumbers prefer to use trenchless repair solutions whenever possible. Trenchless sewer repair and water line repair helps minimize disruption and cost for businesses, homeowners, and municipalities, while delivering long-lasting and durable results. 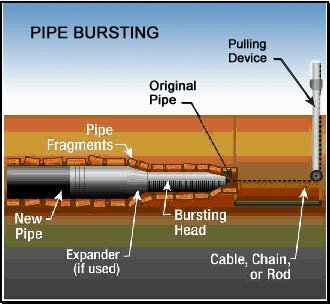 Trenchless pipe lining uses a pneumatic bladder to place a flexible, resin-coated liner inside of an underground pipe, where it can be hardened in place. Once the resin is cured, the liner stops leaks and patches holes and cracks. A pipe liner can last up to 50 years and more after installation, and the material is durable and resistant to most forms of corrosion. If you think trenchless water pipe repair may be an option for you and you would like to discuss with an experienced trenchless pipe lining contractor in NJ call us today! You may need water line replacement if the pipe is old or severely damaged from corrosion, has burst because of freezing during the winter, or has been damaged by tree roots or other factors. Even if water line repair is possible, it may not be the best course of action. The pipe’s age, material, and history of repairs can affect whether replacement is the best option. A water pipe that has leaked in the past can leak again in the future, and water line replacement can actually incur less total cost than multiple repairs. Water line replacement is generally done all at once, with contractors replacing the entire pipe from your property to the city main pipe supply line. At A1 Sewer & Drain and water main line services New Jersey, we’re also available for municipal water line repair or replacement. City water mains beneath residential and commercial streets can wear out from age, and aging infrastructure will need to be replaced to ensure clean drinking water for nearby properties. A city can have over 5,000 miles total of water mains, and these pipes need to be maintained, repaired, and occasionally replaced by experienced local water line replacement contractors. Many of these pipes can easily be over 50 years old, meaning they’re susceptible to leaks and other problems because of their age. Scheduled water shutdowns. During water line replacement, we may need to shut off the water at scheduled times to complete the construction process. These don’t exceed eight hours, and are never scheduled on national holidays. Temporary water service. 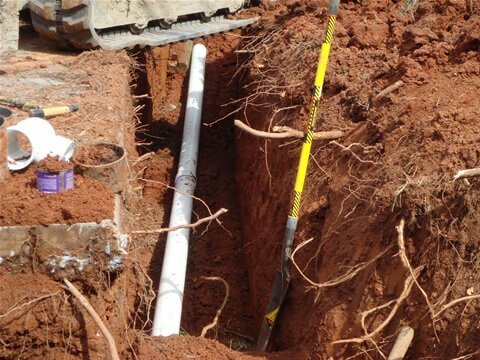 We may install temporary bypass mains that provide water during water line replacement. Discolored water. 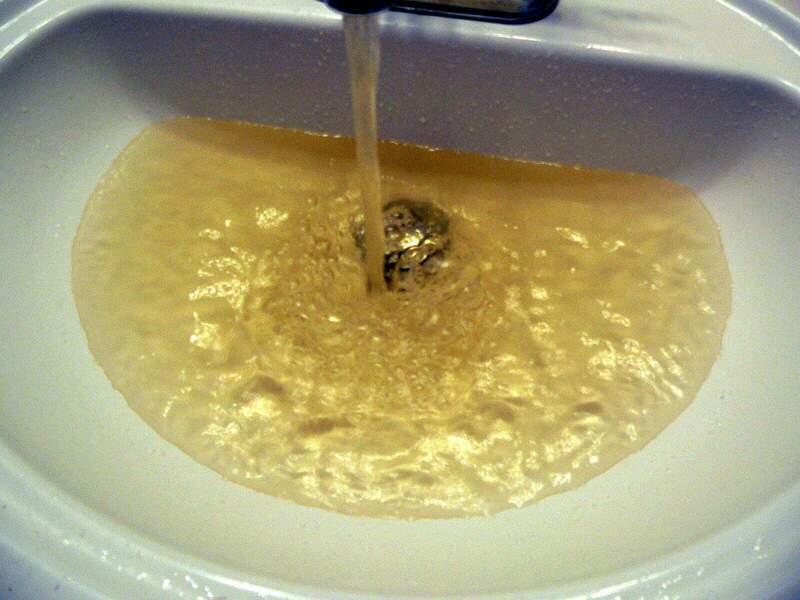 When water service is restored after city water line replacement, discolored or yellow water in the plumbing system is a common occurrence. Running your taps for several minutes will generally clear out the debris that’s causing the problem. Disruption to curbs and sidewalks. Paved areas can be damaged during water line replacement, since it requires excavation. However, they will be restored afterward. 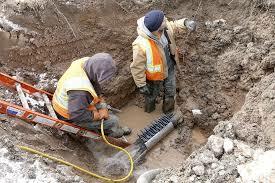 Need water line replacement in NJ? Call us any time at A1 water line repair and water line replacement NJ services, at 201-645-0888, for great price and service from skilled and experienced NJ sewer plumbers. Call us 24/7 hours for any drain or sewer service in NJ. We are pleasant and fast!